In the conditions of private home ownership, the issue of providing housing with communal amenities is quite acute. One of the most pressing tasks is the disposal of waste. 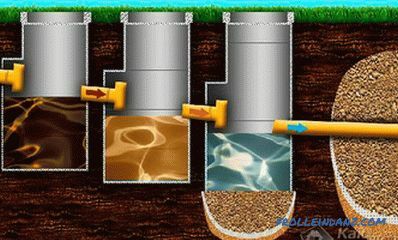 For these purposes, an autonomous sewer system is most often created. There are several options for its manufacture. 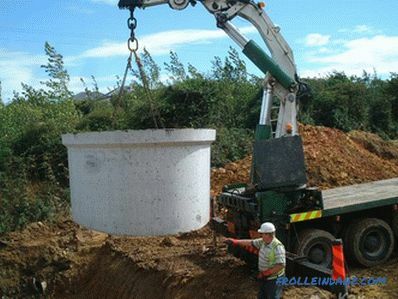 One of the most effective and at the same time simple options is a septic tank of concrete rings, which will be discussed further. It is accepted to call the septic tank a certain construction intended for the removal of polluted water and other human waste. 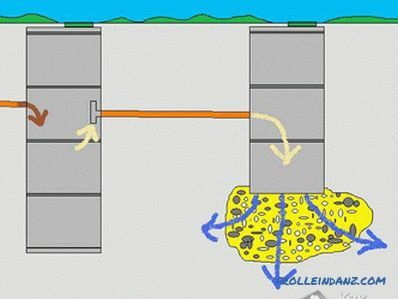 As mentioned above - this is a kind of autonomous sewage system, which allows waste to be discharged, but not allowed to fall into the soil. 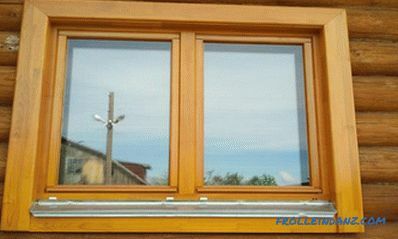 All materials necessary for the construction of such a system are available, and the works with proper approach and preparation, it is possible to make yourself. 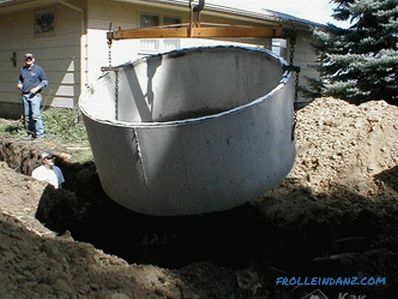 To make a septic tank of concrete without the use of special equipment is almost impossible. In order to install the rings correctly and smoothly, a crane will be required, and the earthworks themselves are much more efficient with an excavator. The preliminary calculations should be handled with the utmost responsibility. First of all, you need to know the estimated amount of waste that will be generated. No need to overpay for additional rings and installation work. It is statistically established that the average water consumption per person per day is 160-200 liters. The volume of the septic tank should be about 3 times larger than the total daily volume of water used. 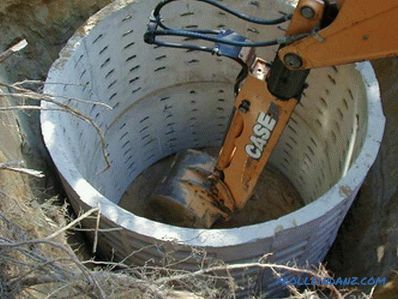 When the daily volume does not exceed 1 cubic meter, then a single-chamber septic tank will be sufficient, if the volumes exceed this value, then a construction of two or more chambers is necessary. The volume of a standard concrete ring is 0.62 cubic meters, at a height of 1 meter. This value will help to calculate the material consumption. Before starting work, also It will not be superfluous to get acquainted with the principle of the septic tank. Polluted water flows through sewer pipes into the first tank. Under the influence of gravity large particles will settle to the bottom. 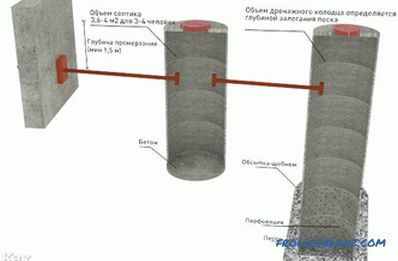 As soon as the reservoir is filled, smaller particles of pollution along with special pipes will enter the second reservoir, where, after passing through another drainage stage, they will be discharged into the ground. It is important to note that if all work is done correctly then the initially polluted waters will be 80-90% purified at the time of their absorption into the ground. It is necessary to begin with digging the pit. With the help of special equipment or simply manually dig a hole necessary for the installation of rings sizes. It is not necessary for the shape of the pit to repeat the shape of the rings. Especially, if the work is done with an excavator. It should also be noted that if a multi-chamber septic tank is mounted, then each next tank should be located 30-40 cm below the previous one. This is necessary so that the cameras can be consistently reported and sewage comes from the first tank to the following. After the excavation work has been completed, you can proceed to the preparation of the foundation on which the pipes will be installed. First, a sand cushion is poured at the bottom of the pit. Its thickness should be at least 30-40 cm. The pillow must be well sealed and leveled. Next, on top of the pillow, you need to produce a concrete screed with a minimum thickness of 20 cm. To do this, you can use ready-made concrete, or you can prepare it yourself. If conditions allow, then instead of a tie, you can simply lay a concrete slab of suitable thickness, but this is possible only if the septic tank is single-chamber. In other cases, it will be better to perform a tie. When working, it is important to remember that one of the chambers septic tank will perform the functions of a filter ring. As a rule, this task is assigned to the reservoir farthest from the sewer pipe. Its difference is that in this case the bottom is not concreted, but is sequentially filled with layers of sand and rubble, which will perform drainage functions. The thickness of the layers should be approximately 30 cm. For This is mounted an additional drain pipe with a set of holes for uniform distribution of fluid throughout the filtration field. With a crane, there is also nothing difficult in this process. Rings are consistently set on each other. Separate septic tanks should be located at some distance from each other. 20-30 cm will suffice. All joints of the rings of one tank should be treated with a concrete solution to prevent leaks. After that, the surface must be treated with a waterproofing compound, such as bitumen mastic. The last reservoir that performs drainage functions will be more efficiently made from rings with holes. These are ordinary concrete rings, but with drainage holes throughout the area. They are somewhat more expensive and less common than conventional ones, but their use will significantly increase the drainage efficiency and the overall rate of discharge of water from the system. The scheme assumes a series connection with each other using pipes. Asbestos or plastic pipes can be used for this purpose, whichever is more accessible. To install them, you need to make holes in the pipes of the required diameter using a perforator. They need to perform at some distance from the upper edge of the tank. About 30 cm will suffice. When the holes are completed, pipes are inserted into them. 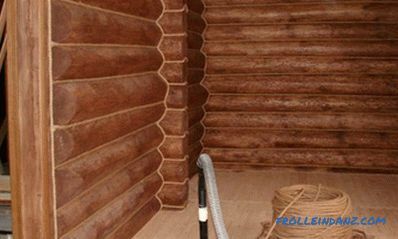 Pipe installation sites must be reliably sealed with special materials like liquid rubber. This will not only allow to close all the cracks, but also will not allow the pipes to be damaged as a result of probable subsidence of the soil. When all the installation work on the pipes has been completed, the space between them and the walls of the pit is filled with earth and tamped down. 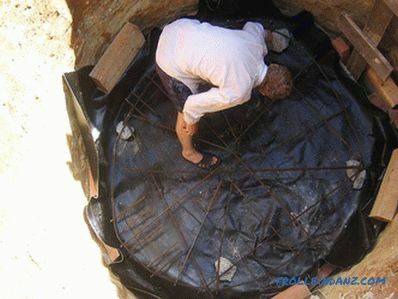 Here you can also add that clay can be used as an additional external waterproofing of septic tanks. Namely, a layer about 30 cm thick is piled around the rings. This will not only protect the rings from moisture contained in the soil, but also to a certain extent, reduce the risk of damage due to seasonal ground movements. After carrying out the described works, the overflow can be considered almost ready. It remains only to close the tanks with lids. This process is easy. 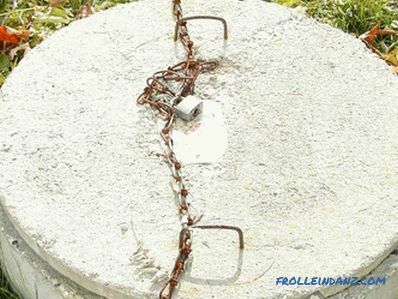 For these purposes it is best to use special concrete rings equipped with holes for the installation of hatches. This is necessary in order, if necessary, to be able to clean the tank and connecting pipes. If for any reason there are no such rings, then you can use ordinary flat concrete slabs. However, it must be remembered that they must still be made holes for removal of accumulated gases. The design is strong and durable. Mounted such a septic tank rather quickly and easily. 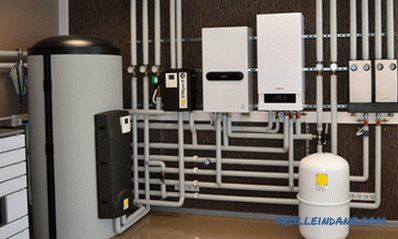 If you use special materials, that is, pipes with a bottom, covers, etc., the installation speed becomes even higher. 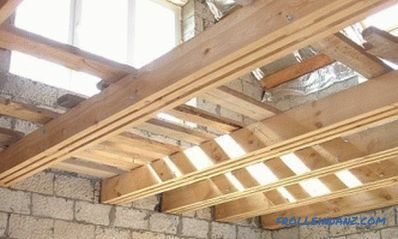 The materials used for mounting the structure are affordable and available in the construction market. As regards the drawbacks of the technology, to some extent they may include the need to use special equipment and a certain amount of limitations associated with the standards for ring sizes. For the rest, the installation on the site of such a sewage treatment is almost ideal.